WEDNESDAY, May 11, 2016 (HealthDay News) -- Professional football players aren't at greater risk of suicide than the general U.S. population, federal health officials report, although players are far likelier to suffer concussions. For the study, the researchers calculated the suicide death rate for 3,439 retired National Football League players who played for at least five seasons between 1959 and 1988. Previous studies have suggested that different football positions carry different risks. To account for this possibility, the researchers divided the players into two groups. The first group included athletes who played positions involving speed, such as running back, wide receiver and quarterback. The other group included those who played positions that didn't rely on speed, such as offensive and defensive linemen. Punters and kickers were excluded from the study because these positions rarely involve contact that results in head injury. The suicide rate of the football players was then compared to that of the general U.S. population. The study found that from 1979 to 2013, the suicide rate among the former players was less than half of what would be expected among the general population. There were 12 suicides in the NFL group, but 25 suicides would be expected in a comparable group in the general population, the researchers reported. Suicides were much less common among those who played speed positions, compared to the general population. The suicide rate among linemen was lower than the general population, but the difference wasn't statistically significant, the study authors said. The researchers also noted that far fewer NFL players died from cancer, heart disease, and assaults or homicide than the general population. The study was done by researchers at the U.S. National Institute for Occupational Safety and Health (NIOSH) and the findings appear in the May issue of the American Journal of Sports Medicine. "The issue of football players being at higher risk of suicide than the general population has been raised in the popular and scientific literature," Dr. Douglas Trout said in a NIOSH news release issued Tuesday. Trout is deputy director of the agency's Division of Surveillance, Hazard Evaluations and Field Studies. "In studying this particular cohort of professional football players, our researchers did not find this to be the case; more studies are needed before further conclusions can be reached," he said. However, the authors noted that their study has limitations. First, it didn't include environmental or genetic factors that can influence suicide risk. Also, the researchers didn't include information about concussions in the athletes involved in the study. The controversy over concussions and head injuries suffered by NFL players and a possible link to suicides has been a significant issue for years. Last month, a federal judge signed off on the NFL's $1 billion concussion settlement with thousands of retired players. 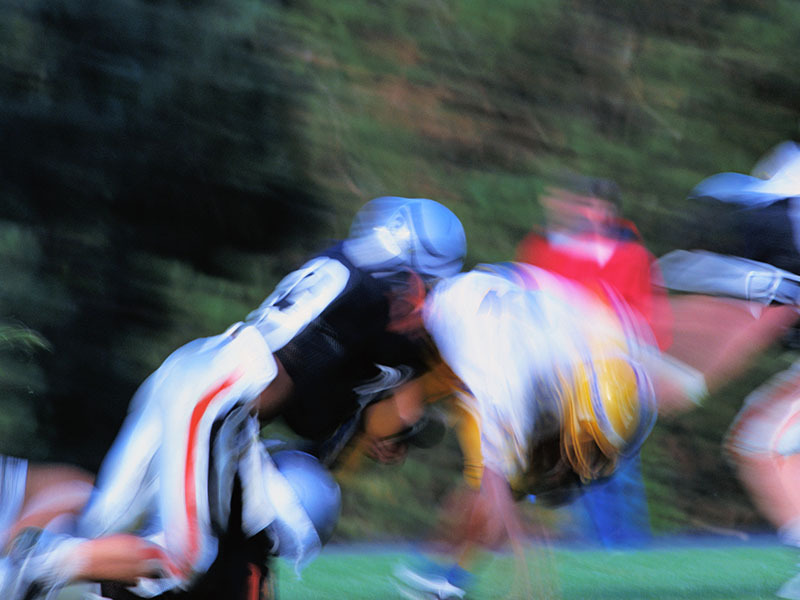 A small study presented last month at the American Academy of Neurology's annual meeting, in Vancouver, suggested that two out of five retired NFL players may suffer from traumatic brain injuries. Brain scans of 40 former NFL players, age 36 on average, found that nearly 43 percent had significantly more damage to the brain's white matter than a group of healthy adults the same age, the researchers said.